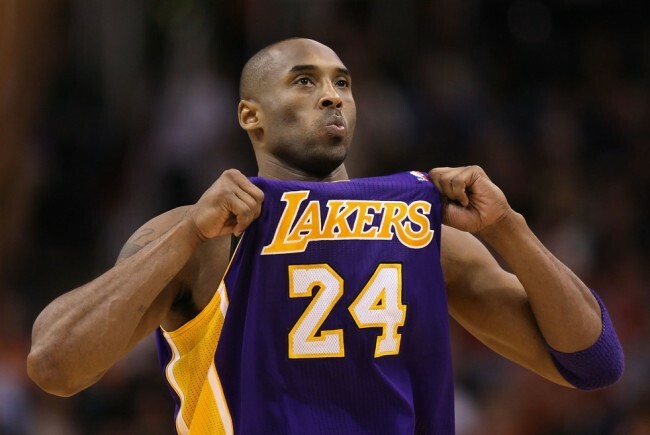 Kobe Bryant has no plans to leave the Los Angles Lakers after the 2015-16 season. That’s both wholly ridiculous and not at all crazy. Kobe hasn’t been clear on his plans beyond 2015-16. He’s slated to become a free agent, at which point it’s expected that he’ll walk away for good. He will have played 20 years, he has been battling injuries over the last two seasons, and the lone reason he should return, to chase that sixth championship, isn’t simultaneously conducive to a return to the Lakers. If the then-38-year-old Kobe is going to continue playing, he, in theory, can and should do so as a member of a team that can actually give him a shot at ring No. 6. Kobe Bryant has a message for Phil Jackson, Los Angeles Lakers fans and anyone else who thinks he will finish his NBA career elsewhere. Here’s the thing: Unless Kobe is only concerned with going out healthy, in the sense that he’ll walk away after appearing in most of his regular-season games and posting relatively Kobe-ish stat lines, the team he plays for matters. If he decides to come back for his 21st season—which is, again, a mystery—a return to the Lakers isn’t really a no-brainer. Nor is his next destination. All we know now is that with the Lakers rebuilding, both through free agency and via their shallow pool of young talent, there’s no guarantee he would want to be part of that ringless transition. More than that, after handing him a legacy deal in November 2013 and treating this season as if it were his last, the transitioning Lakers may not even want him further muddling their view of a long-term plan he won’t be a part of.